Filtertechnik has launched the new PC9001 online particle monitor with instant LED readout, computer interface and trending software. 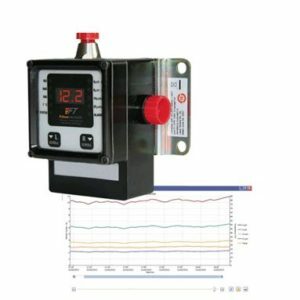 The product is ideal for real time fuel contamination analysis, and can be used as an alarm to provide notification of any changes, or start clean up filtration units to start operating. The benefits include a high level of accuracy, an easy installation and integration into an existing control system, and a flow rate of 0.5l per minute. The system can provide an early warning sign for rise in contamination, component wear, filter and seal failure, water ingress, oil oxidation and cavitation. The unit is also ideal for trending contamination levels over time or as a permanent record of cleanliness test results. Trending software is free, and supplied with each product purchased.